Can Unregistered Persons Claim CENVAT Credit under GST? 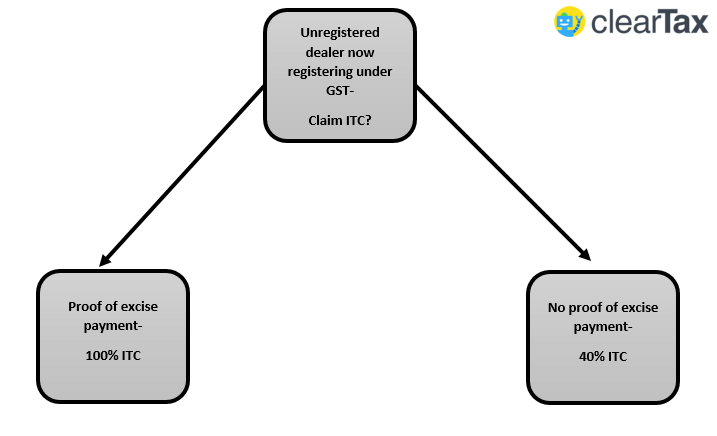 Can Unregistered Persons Claim ITC of Excise Duty by Registering under GST? Unregistered persons can claim CENVAT credit upon registering under GST. Read to find out how much input tax credit you can avail. Under the current excise tax, only manufacturers with a turnover above Rs. 1.5 crores are required to register and pay excise duty. Under GST, this threshold is reduced to 20 lakhs. So, many previously unregistered persons will now be required to register under GST. One of the most important questions business need an answer to is whether unregistered persons can claim CENVAT credit under GST on their stock in hand. A registered person, who was not registered under the existing law, will be allowed to avail input tax credit on goods held in stock on the appointed day. How much ITC can you claim? The concerned person can take entire 100% input credit on goods in stock and used in semi-finished or finished goods on the appointed day (1st July 2017). The taxpayer should prove that goods will be used for making taxable supplies, i.e., the final sales must be taxable. The registered person should be eligible for input tax credit on such inputs (i.e., he does not opt for composition levy). Registered person should have invoices which prove that he has paid for input VAT. The invoices should not be more than 12 months old on the date immediately preceding the appointed day (i.e., on 30th June 2017. The invoices cannot be earlier than 1st July 2016). In the case of service providers, he cannot claim input tax credit if he enjoys abatement under GST. A taxpayer, who was not registered under the existing law and does not possess proof of payment of excise, will still be allowed to take input tax credit. The credit will be allowed at the rate of 40% of the GST applicable after the appointed date (1st July 2017). If the GST rate is 18% and above, then he can enjoy 60% of the GST applicable as ITC. This will be credited only after the output GST has been paid on the sale of goods. This is available for six tax periods from the appointed date (i.e., till 31st December 2017 which is 6 months from 1st July 2017). The goods in question should not be exempted from excise duty or were not 0% rated under excise. The registered person should have the document for procurement of these goods (e.g. he should possess challans). A registered person availing this scheme must separately submit the details of stock in hand on 1st July. The registered person must give details of sales of such goods in the FORM GST TRAN-1 at the end of each month during which the scheme is in operation. The amount of credit allowed will be credited to the electronic credit ledger maintained in the FORM GST PMT-2 on the Common Portal. The stock of goods on which the credit is availed must be easily identified by the registered person and must be stored accordingly. 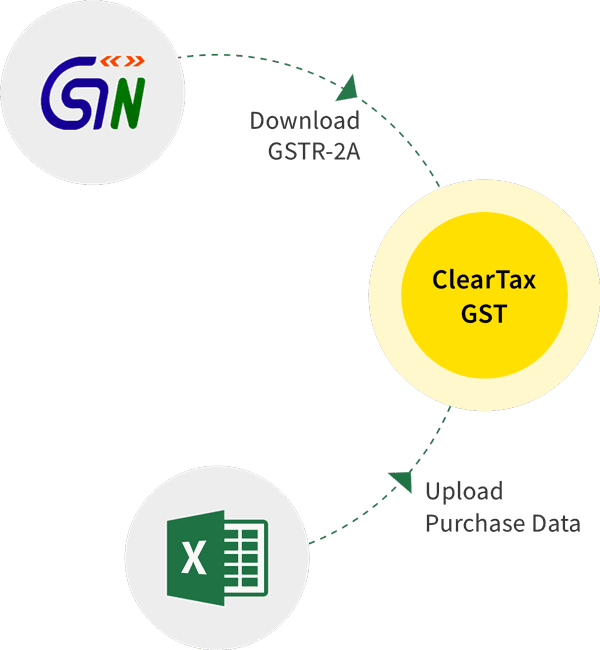 The amount of credit specified in the application in the FORM GST TRAN-1 will be credited to the electronic credit ledger of the applicant maintained in the FORM GST PMT-2 on the Common Portal. NOTE: These schemes are available only if there is no proof of payment for inputs. If there is no proof at all regarding the goods (e.g., there are no challans, no goods received note) then this scheme of 40% will not be available. Those who were not registered under VAT can also claim input tax credit by registering under GST. Do you have any about the transiting your business to GST? 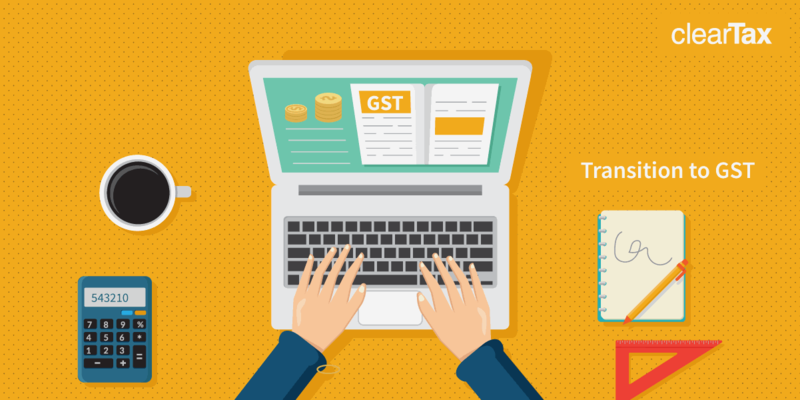 Register with us at Clear Tax and browse through various articles on the transition to GST.